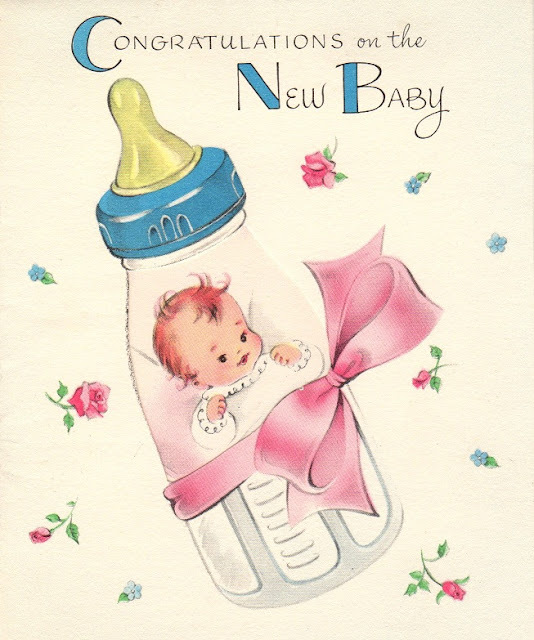 In honor of my birthday next week, let's look at some old greeting cards from my birth! This is a beautiful Hallmark card "God's Masterpiece". It was an expensive card for it's day. 50 cents. I actually got two of these. When I feel down I will have to remember that I am God's Masterpiece! 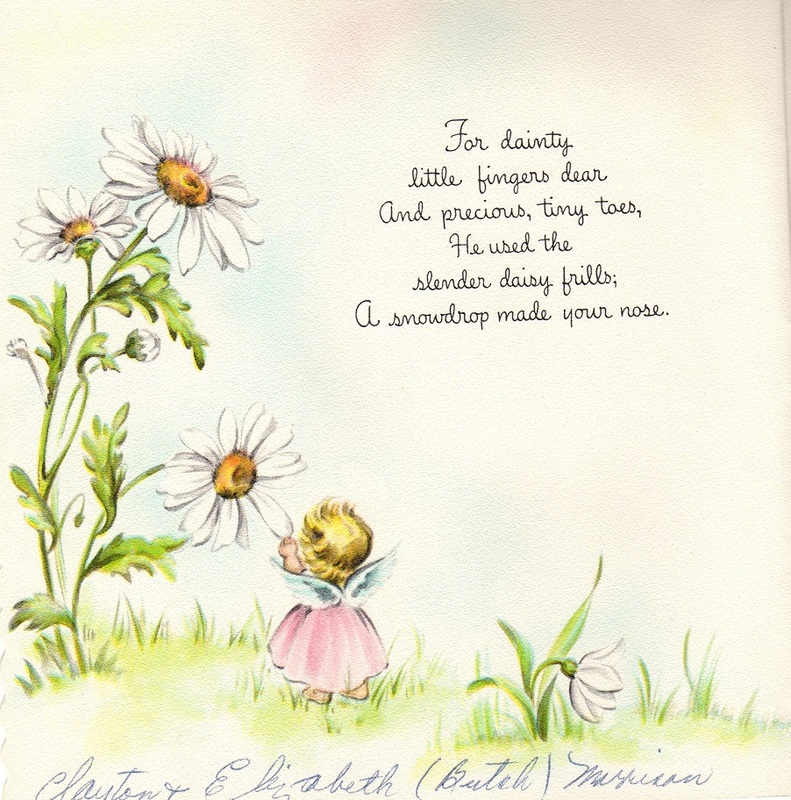 This one is a "Forget Me Not Card" baby card, signed on the back with a short note. 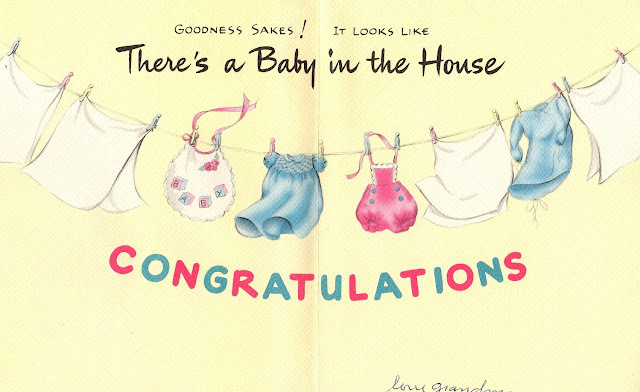 Isn't the little blonde baby adorable? 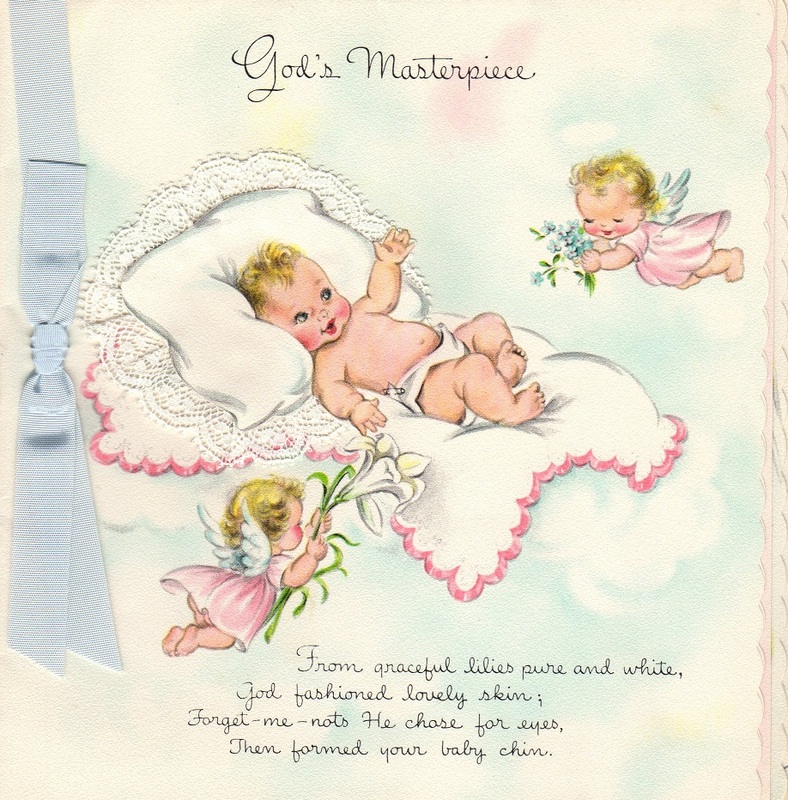 This stork baby card is "A Sunshine Card". This is also a "Forget Me Not" card from Grandma. The graphics are so sweet! 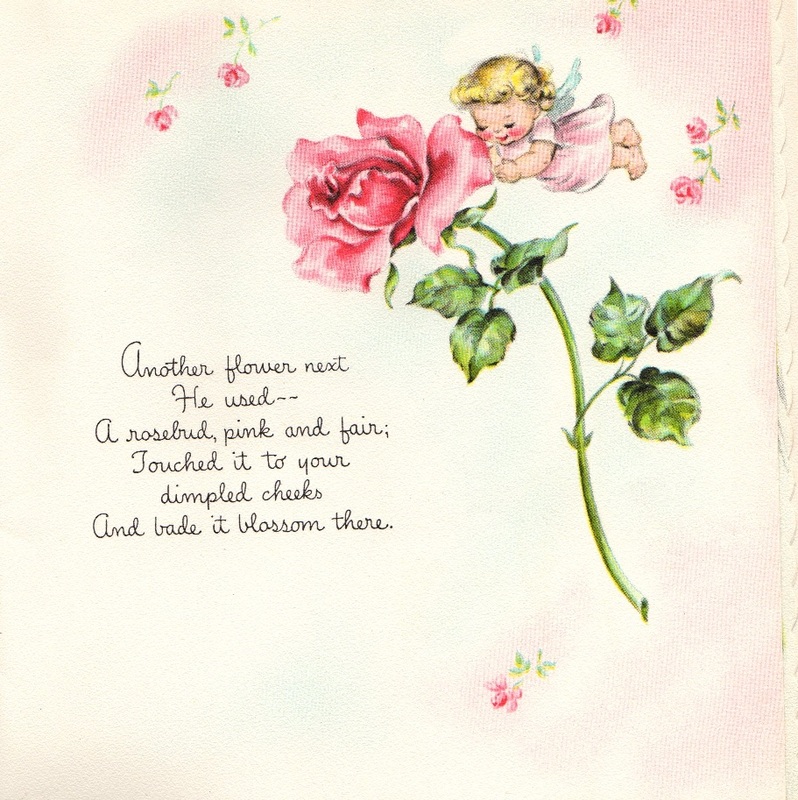 Another "Forget Me Not" baby card. This one is a "Phillips" baby card. 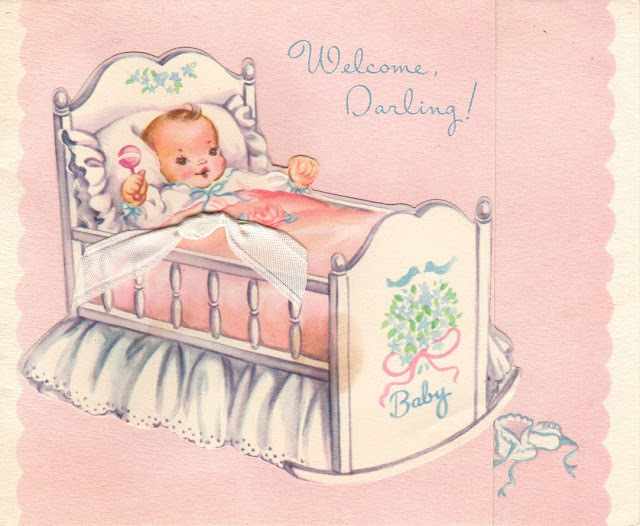 A "Fun's A Poppin" baby card. Fun graphics and its a pop up card! 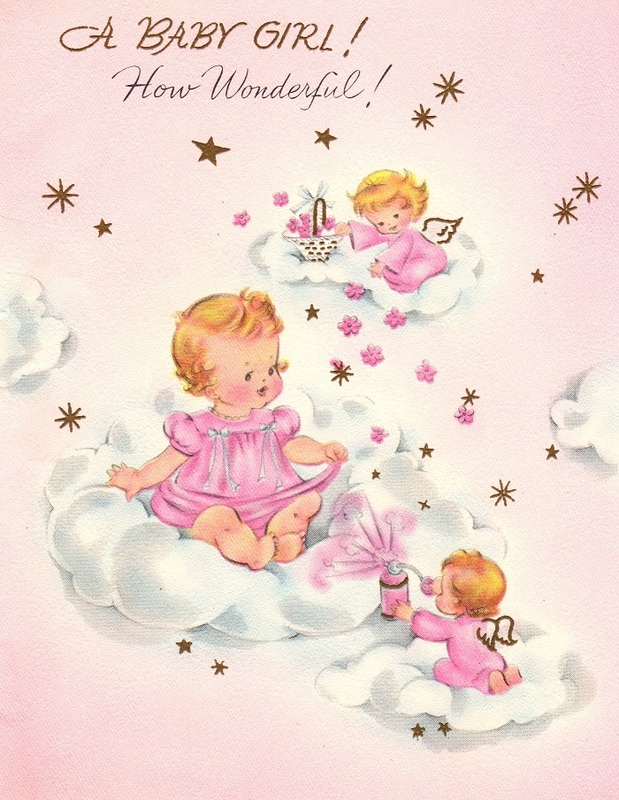 I hope you enjoyed my birth day nostalgia! Is it your birthday. If so Happy Birthday if not Happy to you. 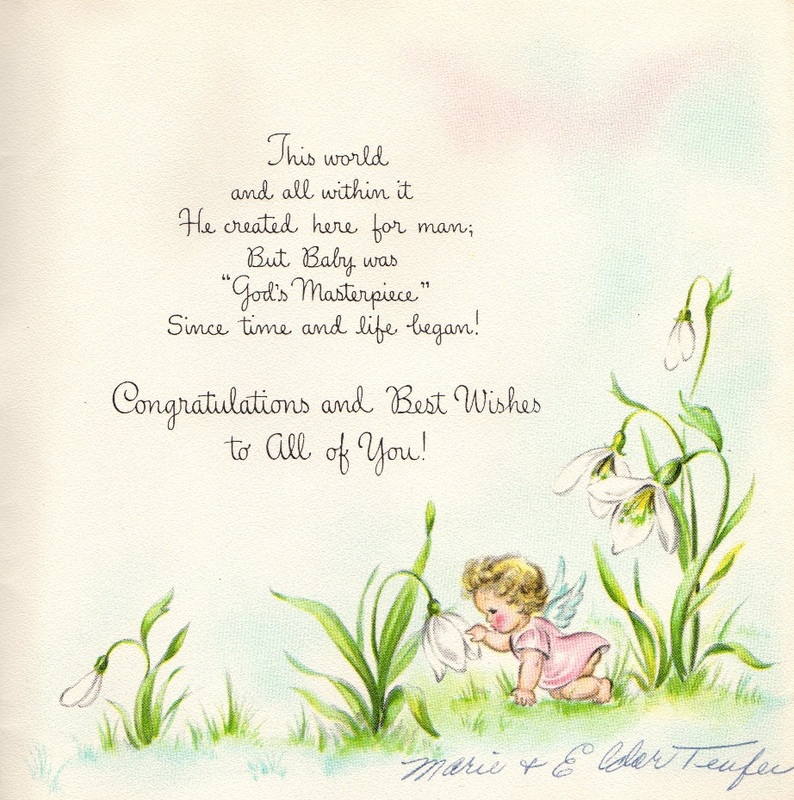 (My grandson says that all the time) Lovely card, love the words. So sweet. Happy Birthday on the 20th! I just celebrated mine on June 9th! Love the cards! 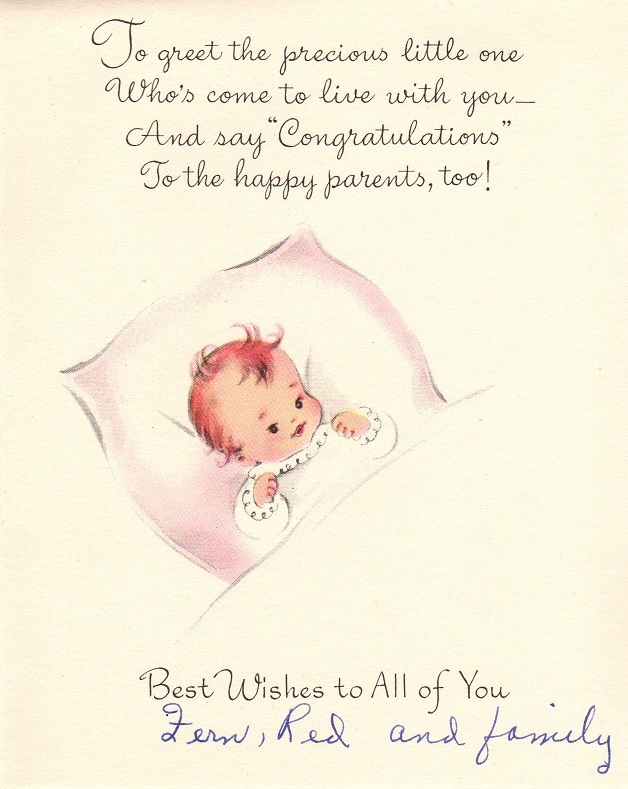 I have my cards from my birth too...they look the same as yours! Maybe they are! Happy Birthday! Oh, I love it. I think I have maybe one card from my arrival. Your cards have been kept in excellent condition. 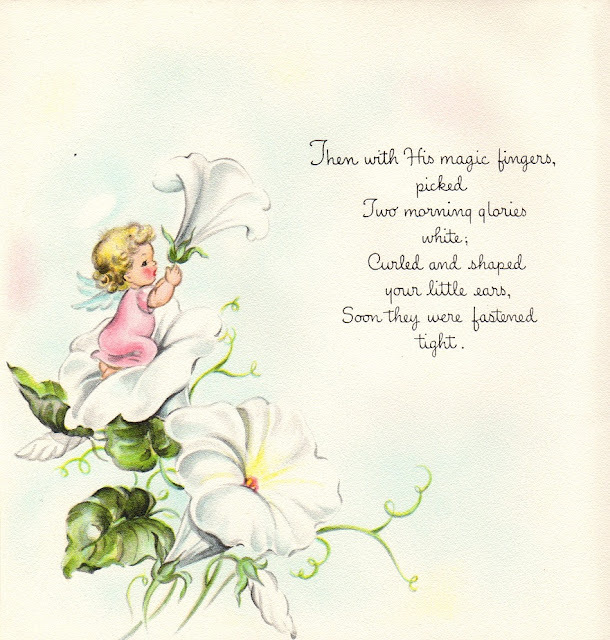 How delightful... you have these fabulous cards and they are in such great condition! Happy Birthday!!!! I bet we are about the same age! What a neat collection. 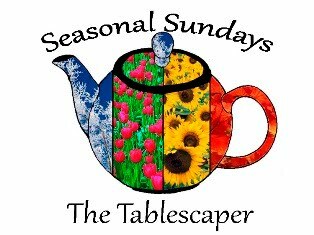 Wonderful to have you be a part of Seasonal Sundays. I love these!!! '56 was a good year for me too. 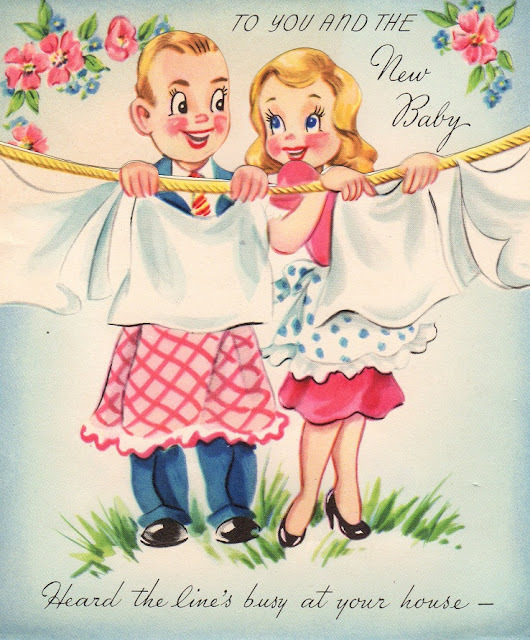 Fun vintage cards! I have a birthday this week, too, so let's both have a great birthday week! 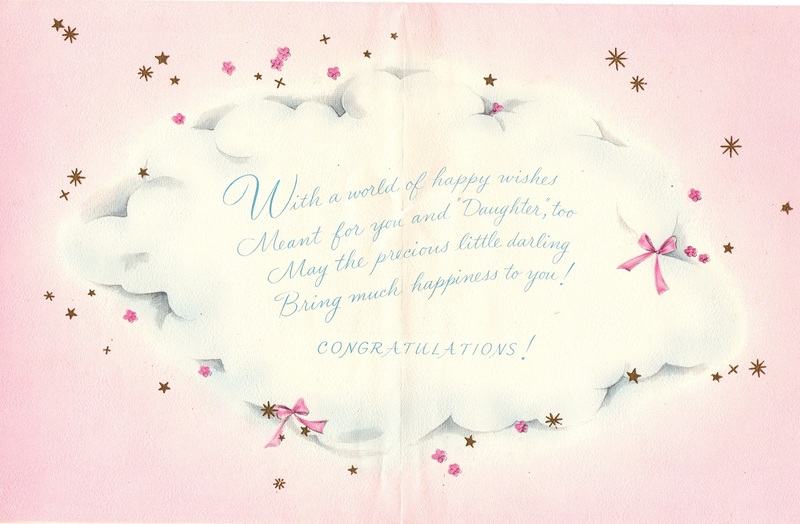 Such dear sweet cards. How lucky you are to have them. I think there might be one of mine stored somewhere. (I was born in 1953.) I hope you had a great birthday. This is my first stop at your blog and I didn't get half way through those cards before I had to become a follower. The cards are precious! 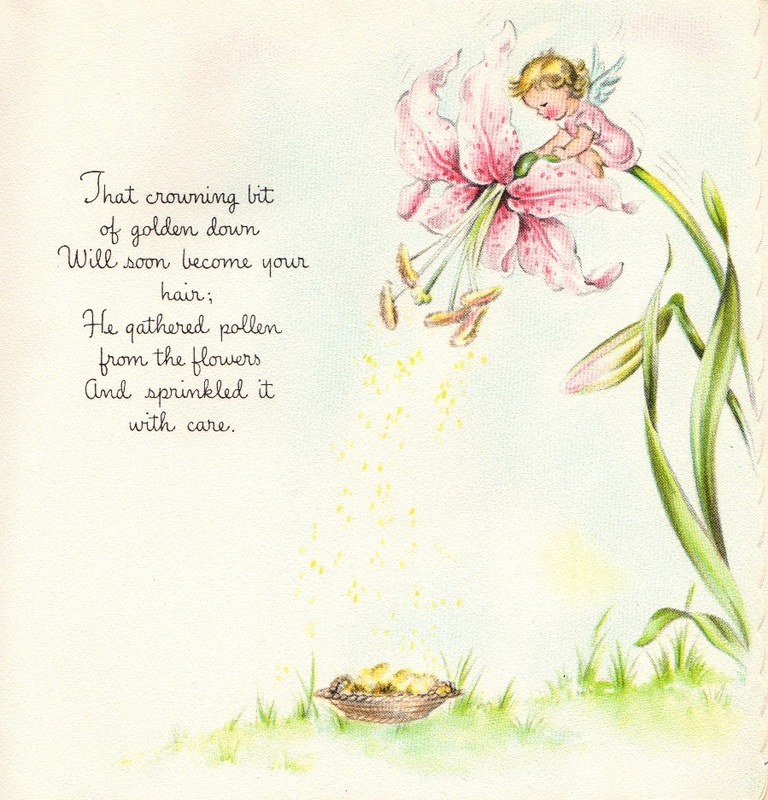 Have you tried diatomaceous earth (for gardening, not pools) for your bugs? It's non-txic, safe and works! I use it in my chicken coop. Great display on your wheel! 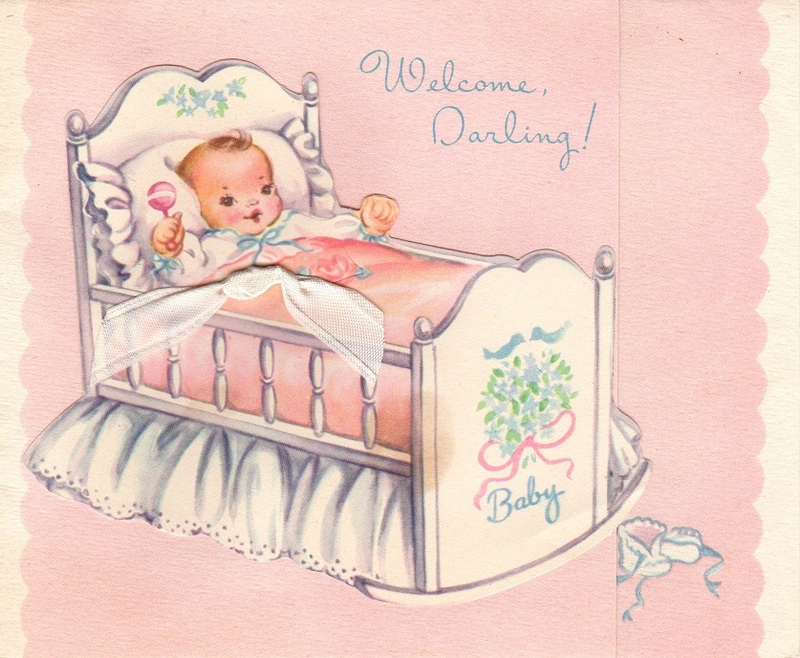 I love your birth cards. They are wonderful. I have some of mine in my baby book and I love to look at them. Happy early B-day! Thanks for linking up to the All Star Block Party. Love the sweet cards, I am fortunate to have mine too! New follower. Happy Birthday whenever it is! You must have been very loved as they saved all that stuff! 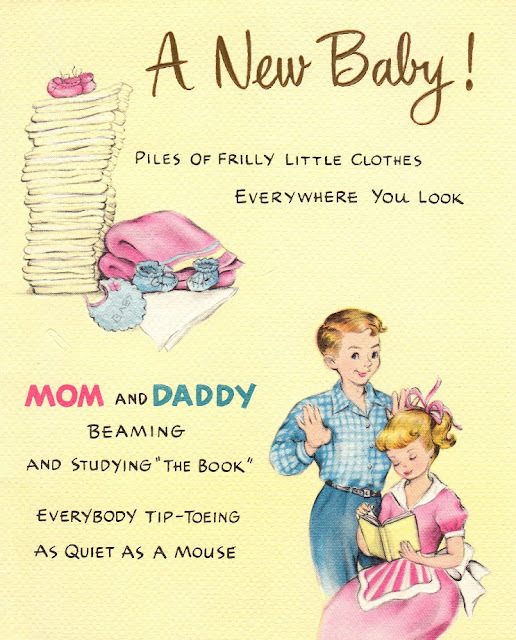 My parents saved nothing...no pictures, no cards, no baby book...NADA and I was their only child! I've never had a birthday party. Of course, when you're young you don't know any better but when you get a little older and realize how other parents treat their children it makes you feel bad but I didn't have a bad childhood. It could have been much worse! They just weren't into me! LOL! Isn't there a book called "He's Just Not Into You"? About dating or something? That was my folks....I just stayed out of their way. I did save my childrens things and guess what...they didn't want the stuff! I tell you....some days it makes me wonder if I'm nuts or is it everybody else? LOL! So glad you have yours that you can look back on and yes....you are MIRACULOUS.....we all are...it just takes us a whole lifetime before we finally realize it! 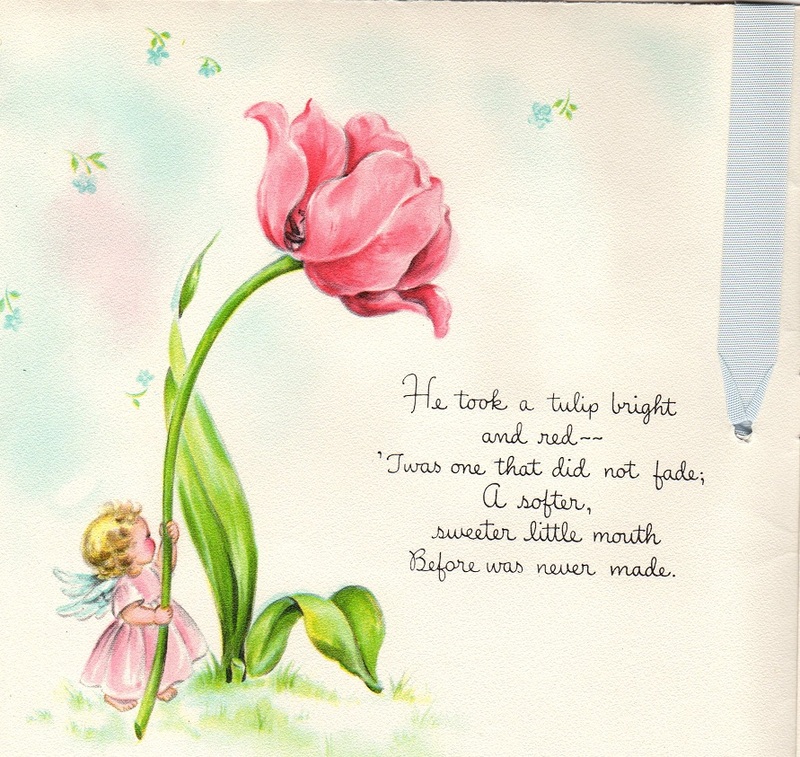 I hope you have a wonderful day,week, month and year! Happy Birthday!